An excerpt of Katey Taylor's "Inebriated" and it's on sale today!! 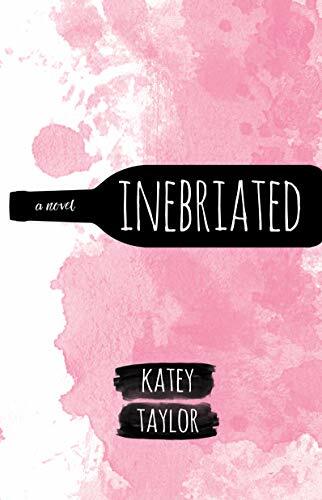 Author Katey Taylor is this week’s newsletter sponsor, and to celebrate her recent release, Inebriated, she’s put the ebook on sale today!! P.S. TOTAL blurb jolt (and you can watch the trailer here)!! This YA romance gives you a front row seat on some very real demons disguised as a good time. For fans of gritty realistic novels intertwined with a rockstar romance. When Cait meets Adrien Cross, the charismatic lead singer of her favorite indie band, she’s introduced to a hedonistic world of liquor and lust that she never wants to leave. But then that world spirals out of control and the harsh realities of reckless living take a toll on Cait and the ones she loves. What will be left when the makeup masks wash off, the bottles are empty, and Cait begins to lose her grip on everything? Reviewers are falling in love with Katey Taylor’s debut novel ‘Inebriated’. I’m cold. I’m alone. I’m stranded in this city and have no idea the street name of this random apartment stoop I’m lying on. I can hardly think. The city lights are a blur all around me. How did I get here? Where are Allie and Steph? How did I get so wasted last night? My mouth is so dry, and my head is pounding like my brain is trying to escape my skull. I’m still in the scratchy sequin dress I went out in last night. The sun is turning the dark night into morning, and no one is out on the streets. My eyes open more, and I scan my surroundings. My purse is here. That is a glimmer of hope, at least. Rummaging through my bag I find my wallet and phone are still inside. Thank God. My phone is dead and more panic rises in my chest as more questions flood my mind. How did I get here? What time is it? Are Steph and Allie okay? Why would they leave me here? At this point, I know I should get up and try to find a taxi or someone capable of helping me, but I am suffering from the worst hangover I’ve ever experienced. God, my head hurts so bad, and my stomach is still burning, and every time I sit up the rumbling in my stomach becomes so intense I have to lie back down and try not to vomit. I attempt to make a bed in the corner of this cement staircase, cradling the exacerbating pain in my head. I need to remember how I got here. I start with what I do remember… the beginning of the night. The fog from my brain starts to dissipate and the night becomes clearer to me.